DI Beach Club 308 was wonderful! The rooms were spacious and the condo was clean and equipped with everything needed. Dauphin Island is wonderful- clean beaches, not crowded, and all the local restaurants were amazing! We will definitely be back for another family vacation to Dauphin Island. Our stay at Dauphin island was wonderful! The condominium was clean and beautiful! Everyone was so friendly and accommodating! We are already planning our next trip! All of the comforts of home plus the view of the Gulf is beautiful. No over crowded like some beach areas. No bad traffic issues. Fun in the sun. Our home away from home. Stayed two months and enjoyed every day. New TVs were great. Everything was as expected. The view is always the highlight, sunrise or sunset. Watched the dolphins and the shrimp boats. Grandkids loved the warm pool. Great place to stay. The office staff here is excellent---friendly and helpful. You will enjoy dealing with them. 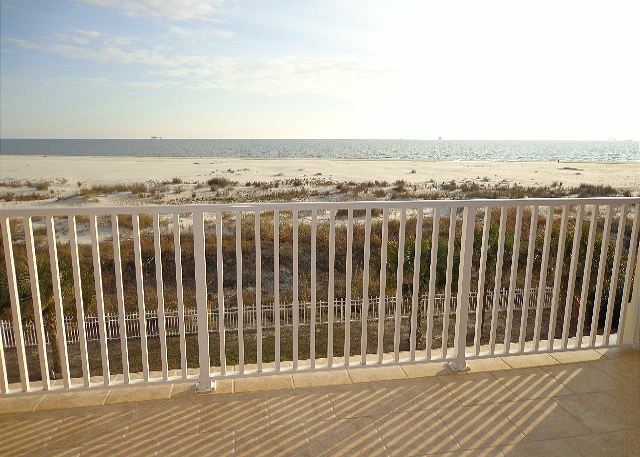 This condo is well equipped and has a wonderful view of the Gulf of Mexico. Several outdoor pools and a boardwalk to the beach area. We like the accommodations and beaches the water was browner than usual but that didn't slow us down. Unit 308 was great for all of us. We thoroughly enjoyed our time at the beach and the condo was very nice. Everything was great! Condo was so spacious and the best stocked condo I have ever stayed in, even had a pack and play. Will leave mine home next time. This condo was a great fit for our family. Having a restroom for every bedroom made everyone more comfortable. Spacious condo with a great view. Short walk to the beach. We enjoyed relaxing there during rainy days. The only negative was there were some electrical outlets that didn't work but we worked around it and the coffee pot didn't work the first two mornings. Response time when we called the issues in was slow (called on Monday morning and no one responded until the afternoon on the second day after a second phone call). Very relaxing. Enjoyed seeing the Gulf and the fireworks from the balcony. Dauphin Island Beach Club July 2016 family vacation. Since 2002 we've been to Dauphin Island 7 times. 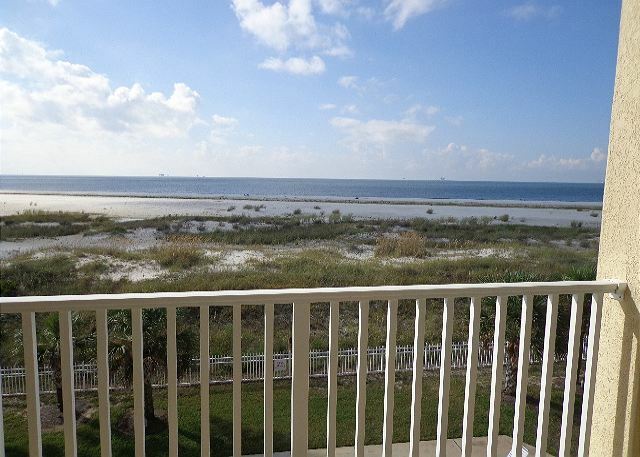 We've stayed at Inn at Dauphin Island and Dauphin Island Beach Club each time. We've never been disappointed with the condos or the the staff. We love our stays here and I always recommend to friends. We will probably be back next summer! We were MORE than pleased with this 3BR/3BA condo! With 4 kids, the bunks in the third room were perfect! We are already planning our stay for next year! The unit was for the most part great. We love the location and the spaciousness of the unit. the condo is showing signs of wear however and probably needs new cabinetry and countertops in the kitchen. The dining room chairs need to be replaced or at least repaired as well. we had a wonderful time, unit just a little frayed around the edges. Very nice three bedroom that accommodated 8 people. The master bed room is very nice size and huge bathroom. We had a wonderful vacation. Loved being on the beach. Unit could use some updating. Cabinets are showing age. Had a couple issues but management was happy to address them. We were there to enjoy the outdoors, beach, and the wonderful shrimp. The layout of the three bedroom, three bath units are perfect for families. Rental was clean and had everything we needed. Needs some updating and a few repairs are needed (cutains falling down toilet paper holder wont hold paper, cabinets peeling) but nothing that I couldn't deal with for a week. Love the high ceilings. Overall, a very nice place to stay, plenty of space and great location. My only complaint: sliding glass doors did not lock and only one had a rod to "secure" them. We had a great time visiting the island. Everything was wonderful. Our condo was beautiful & exactly what we needed & wanted. It was very easy to find-we just followed the directions we were provided. It was spotless & very well maintained. The beaches & pools were great. So relaxing. My whole family loved it!